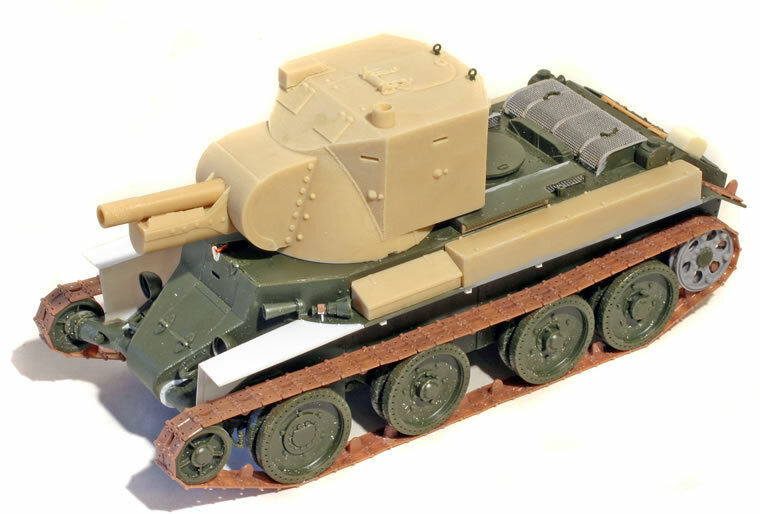 Some years ago, I got a JS Models resin BT-42 turret from Finnish AFV enthusiast Karl Rosenlof. My original plan was to use it to covert an Eastern Express BT-7 to the Finnish assault gun. As so often happens with plans, time passed by and it never got done. 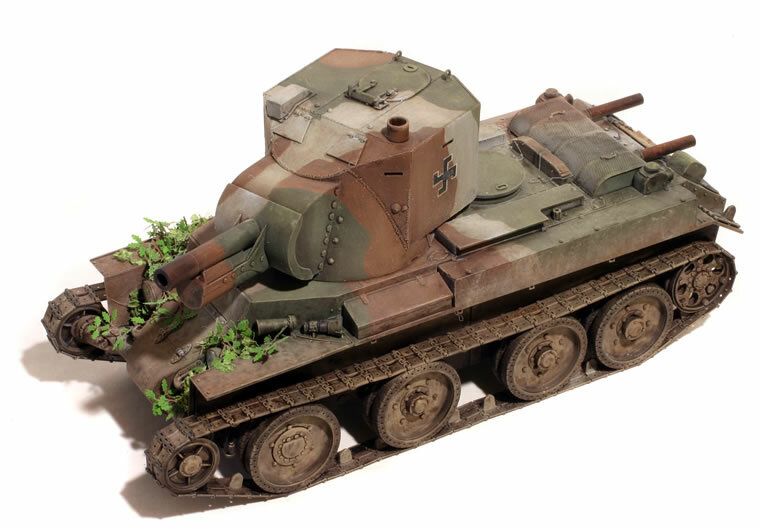 With the arrival of the new Tamiya BT-7 kit, I dusted off the project but on the Tamiya kit. The Tamiya kit is typical of Tamiya products and assembles without any muss or fuss and with an excellent level of detail. 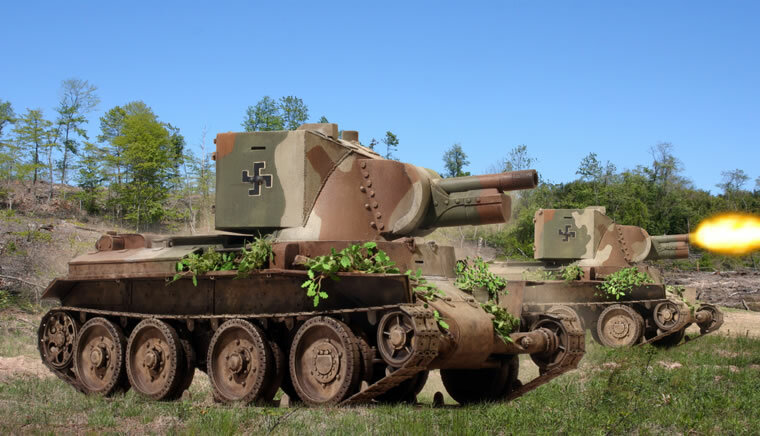 The Finnish BT-42 conversions were on a slightly different hull configuration including the narrow-pitch track with a different drive sprocket, and with the other style of rear towing shackles. I used the Model Kasten BT track for the narrow-pitch track, and snitched the drive sprocket from the Eastern Express BT-7. The JS Models resin conversion provides most of the other bits, though it’s necessary to scratch-build the Finnish simplified mud guards. I am not sure if the JS Models kit is still available, but maybe the arrival of the Tamiya kit will result in this or other conversions becoming available again. 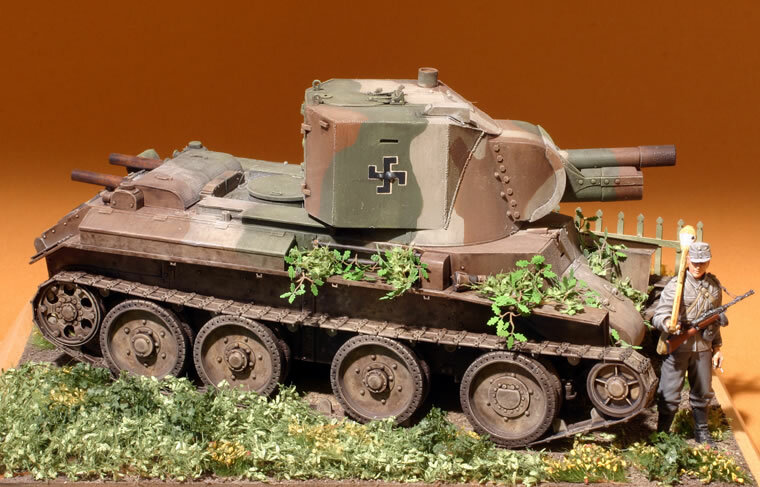 Eastern Express did a kit of the BT-42 in plastic but the Missing Lynx review by Andreas Larka indicates the JS Models turret is the more accurate of the two.